In order for the dental implant process to be a success, there must be enough bone in the jawbone to support the implant(s). In cases where the bone under the gum is not wide, tall or dense enough, a bone graft is performed to create a strong foundation of bone for the implant to anchor into. When considering implant surgery, it is important to understand what a bone graft involves, how it is performed and how much it costs. Bone augmentation is the process of rebuilding or replacing bone in the jaw using bone or bone-like materials in order to support dental implants. Grafts range in complexity from supplementing the bone beside one implant to making significant changes to the shape and size of the dental ridge. Small grafts can be performed by a dentist during implant surgery, while extensive procedures are usually performed by a specialist such as an oral surgeon, prosthodontist or periodontist several months before. Bone loss can be caused by trauma, an abscess/infection and periodontal disease. In addition, the density of bone beneath missing teeth deteriorates over time. 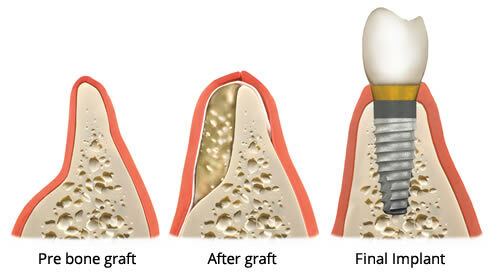 Patients who have been missing teeth for months or years often require bone grafts before they can get implants. If a cadaver, cow or synthetic bone is used, the average price of a basic augmentation is around $250-$1100 for a single implant area. Using the patient’s own bone is more expensive and costs $2000-$3000 because it includes two surgical sites as well as hospitalization and anesthesia. The cost of a bone graft depends upon a number of factors, including the size and shape of the area being worked on, the source material used and where on the bone is harvested from. Patients may also have to pay additional fees for X-rays ($50-$200), CT scans ($300-$900) or consulting other specialists. For patients who cannot afford the price tag of bone grafts and implants or would rather not wait for the graft to heal, dentures and bridges are the best alternatives to consider. Dental insurance does not typically cover dental implants, but it may cover part of the cost of a graft if it is deemed to be necessary for the patient’s well-being. For example, if a patient is unable to eat properly due to the bone loss and the problem cannot be resolved by other solutions such as dentures, the procedure should be covered by their health insurance. The following are the 4 main sources of material used for bone augmentation, listed in order from most effective to least. This source is the safest and most effective because it integrates very well and there is no risk of infectious disease, contamination or tissue rejection. The bone is typically harvested from the chin or jaw, but a shin or hip can also be used. Disadvantages of this source are that it requires two surgical sites, is more expensive and if the bone is taken from the hip or shin, requires general anesthesia and hospitalization. Freeze-dried and sterile, cadaver bone obtained from a reputable tissue bank is more affordable and generally quite safe, although it does carry some risk. Using human bone carries a similar level of risk of transmitting infectious disease to receiving blood from the blood bank. Cow bone has been commonly used for many years. It is sterilized and processed to minimize infection, but like human cadaver bone, there is the possibility of contamination. This graft material is naturally absorbed by the body and replaced with real bone over time. Although less-effective than the other options, these sterile bone-like materials are second only to a patient’s own bone in terms of safety. This material is also absorbed and replaced over time. In order to determine if a bone graft is necessary, the extent of grafting required and what source material should be used, panoramic or full-mouth X-rays and/or a CT scan must be taken and analyzed. If the patient’s own bone is to be used, the location it will be harvested from will also be scanned and analyzed. 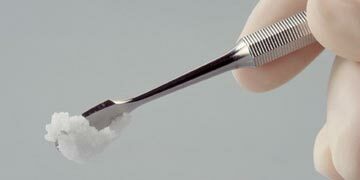 First, the oral surgeon administers local anesthesia to both the recipient and donor bone sites. An incision is made in the gum at the recipient site, followed by an incision below the lower front teeth, exposing the chin bone. A block of bone and marrow is removed from the chin. The surgeon will then cover the area with a layer of tissue or bone substitute to keep the gums from growing into the hole while it heals. After closing the incision at the donor site, the block of donor bone will be placed at the recipient site and anchored in place with small titanium screws which are removed after the recovery period during the implant procedure. A mixture of marrow and other material is placed around the edges of the block to stimulate bonding. The surgeon then lays down a tissue membrane over the graft before closing the incision. If donor bone is taken from the shin, the surgeon may harvest the bone in the office while administering IV sedation, but if taken from the hip, hospitalization and general anesthesia is necessary. A patient may spend one or two days in the hospital to undergo the procedure. After harvesting the donor bone, it will be placed at the recipient site in the same way described above. It can take 4-9 months for the augmentation to heal and integrate with the surrounding bone before implants can be placed. After the surgery, a patient will be given pain medication, antibiotics and an antibacterial mouthwash. They are advised to avoid certain foods and putting stress on the graft until it heals completely. Depending on the size of the graft and the materials used, it can take 4-9 months before the jaw is strong enough to receive implants. 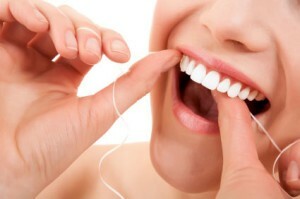 During that time, patients are advised to maintain proper oral care (routine brushing and flossing) and a healthy diet to ensure its success. 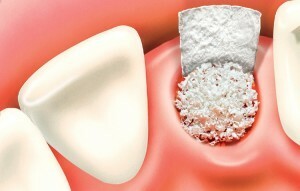 Have you had a bone graft done? Or, have you been told you might need one done before you get an implant? Share your experience in the comments! Florida used to have a victim compensation fund to assist with medical bills up to 20k. Call the Domestic Abuse Hotline or local women’s shelter and ask to speak to an advocate for more information. Even the prosecuting attorney’s office may have info. Good luck! Had front tooth cadvar bone graft and gum graft. Gum graft didnt take so had it done again along with holes drilled into bone graft to make sure it took. Which it did. That was in March of 2015. 5 retainers later im in pain and can not afford the implant or bridge. The procdure cost $5000 which i was told i could set up on a payment plan. The trama was due to domestic violence, hence the reason for the payment plan.They then took that plan of the table and ive never gone back. What are options now. Extremely miserable in florida. I have severe bone loss in my upper jaw and lost most of my teeth over the years. My Prosthodontist is working with an oral surgeon who will do a sinus lift and remove a block of bone from my hip. I read the hip surgery is extremely painful and in many cases the patient may limb for life. Has anyone received a hip bone graft?